With cooler weather on the horizon, it is time to start thinking about how to keep warm at home. If you know that you want high quality but don’t know what your options are, read on. When it comes to heaters, you will find two types: the radiant and convection heater. Each type produces heat in a different way, thus heating the house a little differently. Convection heaters use the same principle as our atmosphere and oceans use to provide an indirect source of heat. Warm air has a lower density than cold air, so heat rises and cool air stays low to the ground. A convection heater utilizes this natural process by pulling in cool air to heat it. The warmer air then rises all the way to the ceiling and then falls back to the floor as it cools. All use the same convection principle, but each generates the heat differently. All use the same convection principle, but each generates the heat in a different way. Sunlight provides us with a source of radiant heat by radiating energy horizontally. This type of heater generates heat to warm you in a more direct manner. floor units radiate heat with sunlight that ceramic tiles, plywood, or concrete absorb to radiate the heat into the room. Electric provides a safer and cleaner alternative to gas. Overall, convection heat works best to heat a large area over a longer period of time, while radiant heat provides extra comfort in smaller spaces. Which Type of Heater Should I Use? Why not double up and heat your home to optimum capacity? 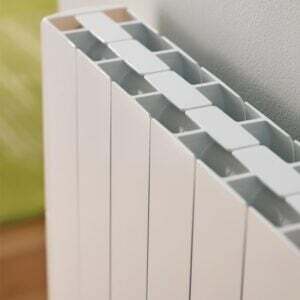 Since the different types of radiator each provide a different quality of air, using the two together works best to heat your home. Buy a heating unity that provides both convection and radiant heat. Electric offers you cleaner, easier heat. 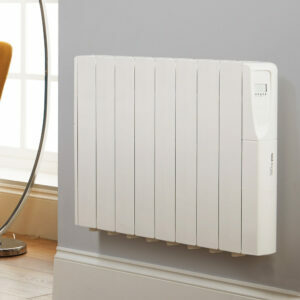 Another aspect to consider is whether you want a single panel or double panel radiator. A single panel has only one row of fins, so it distributes the heat less efficiently and requires professional flushing for proper maintenance. A double panel convector also only offers one set of fins, but two panels, so it heats more efficiently than the single panel. 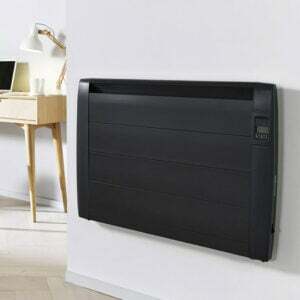 The double panel double convector offers optimum heating capacity out of the three types. What Is My Best Product Option? 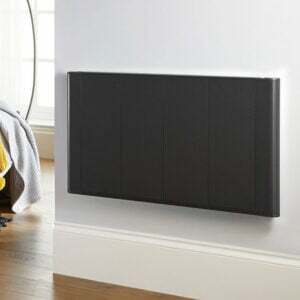 The Slimline Curve Electric Radiator offers the perfect heating solution as it provides both convection and radiant heat. 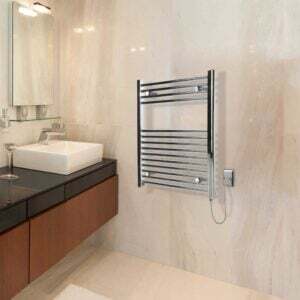 This radiator mounts to the wall and looks stylish while taking up little space. Not only does this heater look chic, but it offers top technology too with an all-aluminum body for quick heating, an all-digital thermostat with a timer to program, an anti-frost and open window mode, and wifi adaptability. This product receives excellent reviews and will save you 50% on your heating bill due to its energy efficiency! If you want all these features but do not need the extra stylish design, you can get the Slimline Digital Electric Radiator for a lower cost. Where Should I Install My New Radiator? 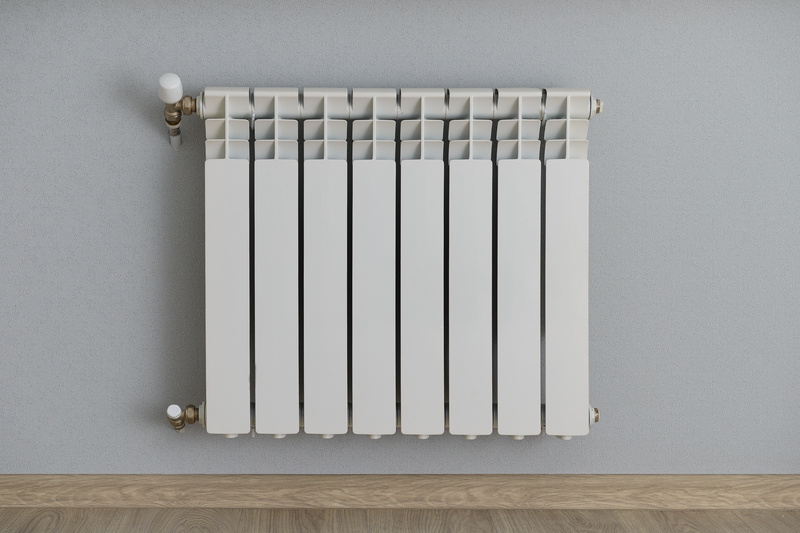 If you decide to get the designer radiator, then you may want to put it in the living room, dining room, or kitchen, or else why spend the extra pounds on design? However, even the less chic option looks nice, so you do not need to hide that one either. Going about it practically, put the heater in the coldest part of the room and since heat rises, lower on the wall. People used to install radiators beneath windows, but modern technology makes this unnecessary. Some people choose to hide it in a radiator cabinet or inside the wall, but this puts a damper on the heat distribution. Plus, the sleek designs of the radiators we recommend make hiding the unit unnecessary. For safety reasons, keep the unit somewhere clear of furniture and clutter. Prepare Your Home for the Chilly Weather! Lucky for you, gone are the days where radiators only provide convection or radiant heat; you can choose both! Moreover, you get to do so in style with the sleek new appearances. For more questions and to purchase your radiant and convection heater today, contact us! With the expanse of the convection heat and the cozy feel of the radiant heat blanketing your home, you’ll welcome the colder weather.